Of course, Gallipoli isn't the only battle to be commemorated in 2015. This year is also Waterloo 200 - two hundred years since the Battle of Waterloo took place. And that too is being marked by a large diorama. 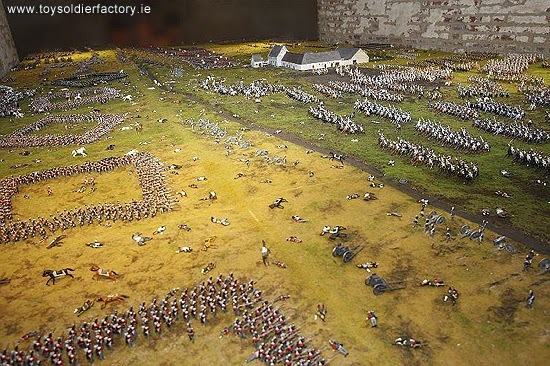 The Toy Soldier Factory in Ireland will be displaying the first phase of what they claim is the world’s largest battle scene, depicting the Battle of Waterloo. Their huge diorama totals 26x13 feet (8x4 metres) in size. 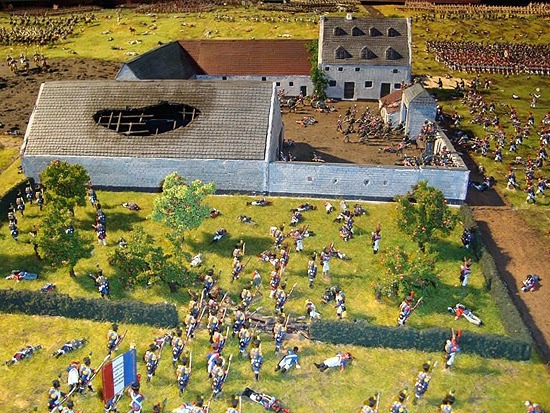 It houses 15,000 Prince August model soldiers, hand-cast and hand-painted by Andre Rudolph from Germany. It took Andre eight passionate years to cast, paint and complete his creation (which kind of puts things into perspective for those of us who found painting 40 figures hard!). The mighty scene will arrive on Irish shores over the next few weeks, and will be transported carefully to its new home in the tiny village of Kilnamartyra just outside Macroom town in West Cork.